Picture shows the English translation of the novel Interlok. 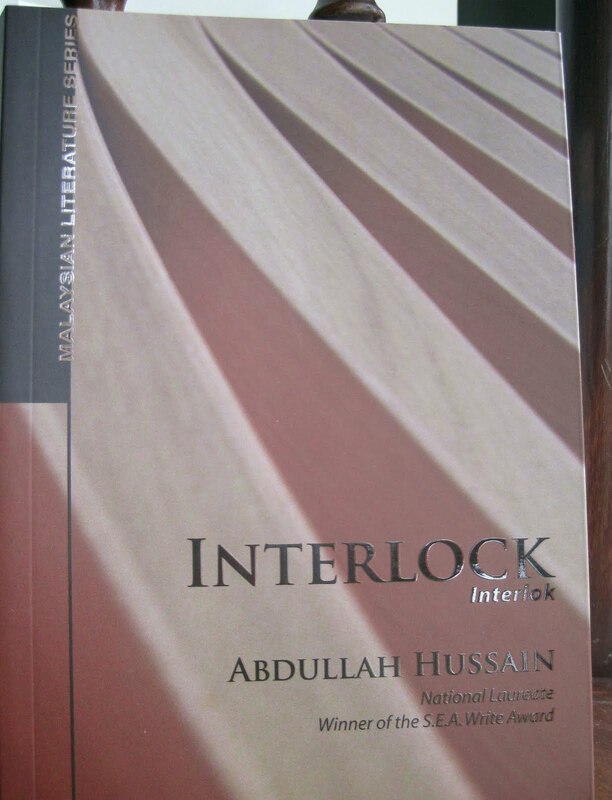 The Malaysian government finally reached a decision about the adoption of an abridged edition of Datuk Abdullah Hussain's novel Interlok as a text for the literature component in the subject Bahasa Malaysia for fifth-formers. Students will be allowed to read it but not before some amendments. That means removing the bits that hurt the ethnic sensibilities of the Indian community. The result arrived at after heated debate was entirely predictable. The Prime Minister is likely to call an election this year. And the announcement to end the Interlok impasse with a "formula that everyone can agree on" is seen by some as an attempt to appease the ruling government's constituents. See below for details of the decision as reported by Bernama. KUALA LUMPUR (Jan 27, 2011): The novel Interlok will remain as the textbook for the literature component of the Bahasa Malaysia subject for Form Five but with amendments to several aspects deemed sensitive by the Indian community, Deputy Prime Minister Tan Sri Muhyiddin said. Muhyiddin, who is also Education Minister, said an independent panel would be set up to study the types of amendments and would submit the recommendations to the government. "The decision to continue using the novel, with amendments so as not to hurt the feelings of the Indian community, is the best solution," Muhyiddin said in a statement today. Muhyiddin said the panel would comprise linguists, academicians, literary figures and representatives of Dewan Bahasa dan Pustaka as well as the Indian community. "I expect the amendments to be carried out in the near future," he said, adding that the novel would only be used and distributed to schools once the amendments had been incorporated into it. While waiting for the process to be completed, he said, the Education Ministry would instruct teachers to continue with the existing syllabus so as not to disrupt the teaching and learning process. "I believe we have sufficient time to make a thorough amendment so that there will be no more dispute over Interlok," he said. The novel, by National Laureate Datuk Abdullah Hussein, became a controversy following the ministry's decision to use the novel as a literature textbook, with several parties claiming that it contains words deemed sensitive to the Indian community. Muhyiddin said that the decision was made after taking into consideration the views of all parties, which acknowledged that the book was good in nurturing and strengthening unity among the multi-racial and multi-religious society in Malaysia. At the same time, he said that any amendment made to the novel would not affect the storyline and the noble message which the writer wanted to convey. The deputy prime minister was previously reported as saying that he had a formula to resolve the impasse over Interlok. Muhyiddin said that the consensus to resolve the issue was reach after he, together with MIC president Datuk G. Palanivel and MIC deputy president Datuk S. Subramaniam, met Prime Minister Datuk Seri Najib Abdul Razak to discuss the matter this morning. He had also met Palanivel and Subramaniam over the issue yesterday. In the Barisan Nasional (BN) spirit of consensus, he said, they agreed that the novel would continue to be used as a textbook for the literature component of Bahasa Malaysia for Form Five in Zone 2, namely Kuala Lumpur, Putrajaya, Selangor and Negri Sembilan. The amendment to the book would be made, taking into consideration the views of MIC, he said.